Re: Proposed new remotely piloted aircraft (RPA) registration and RPAS operator accreditation scheme (PP1816US). As many of our members will be aware, the public spotlight is once again on model aircraft flying. 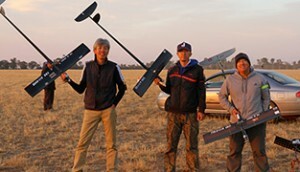 As part of the outcomes of the Senate Enquiry for the registration and accreditation of Remotely Piloted Aircraft (RPA’s) and pilots, CASA released the new proposed changes for public consultation on Friday 25th January 2019. Safe, festive flying to you and your families! Merry Christmas to all our members! Once again, the festive season is upon us, time to spend with family and friends. Many of our member clubs will have already held or are about to hold their annual Christmas functions and I suspect many ‘war’ stories will be told. The New Year will bring to us all new challenges, but I hope 2019 will be prosperous to us all. 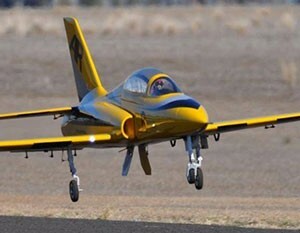 There’s something uniquely thrilling and exciting about the spectacle of scale model planes taking to the skies in beautifully coordinated sequences that push the boundaries of conventional aviation flight capabilities. It’s all part of the extraordinary appeal of aerobatics. What were some of your highlights from the World Championship? The personal highlights for me had to be the F4C team securing a gold medal and standing on the podium with that gold medal around your neck singing the National anthem. Also, when my team mates came running up to me, including my wife (Melissa, who was also the team manager) with tears in their eyes telling me we had secured gold! After the sacrifices made by some of the F4C team over the years the gold was well earned. It was also great to have Peter Goff and Greg Lepp getting in the top ten at their first F4H world champs. The 2018 Annual MAAA Council Conference was held in Adelaide over the weekend of May 19th and 20th, in which Presidents and other executives from all states attended. After many months of preparation, the historic 70th MAAA National Model Aircraft Championships finally took flight to confidently secure its place as one of the most thrilling aeromodelling events on the MAAA calendar. The Australian Senate has just released a Media Release regarding the inquiry into the regulatory requirements that impact the safe use of Remotely Piloted Aircraft Systems, Unmanned Aerial Systems and associated systems. This year has commenced with a flying start for our MAAA community, with so many exciting opportunities for our members to soar and excel in this amazing sport loved by many. In 2017, we are focussed on growing our sport, providing our members with the best flying facilities and support, while encouraging member participation and engagement. A new year represents new opportunities for our members to soar to more thrilling heights, enjoy the camaraderie of flying with friends, while taking a bird's-eye view of the sport loved by so many in renowned, adrenalin pumping events in 2017. All model aero plane fans are invited to join in the fun with the Tingalpa Model Aero Club Norfolk Island Fly In for a week of flying and socialising among local club members and visitors 21 - 28 October. Meet the locals who share their favourite flying spots around the island. Bring your big planes, indoor flying and gliders to cover all conditions.